While recently comparing cloud storage solutions, I was surprised to learn there are still companies offering unlimited storage plans. 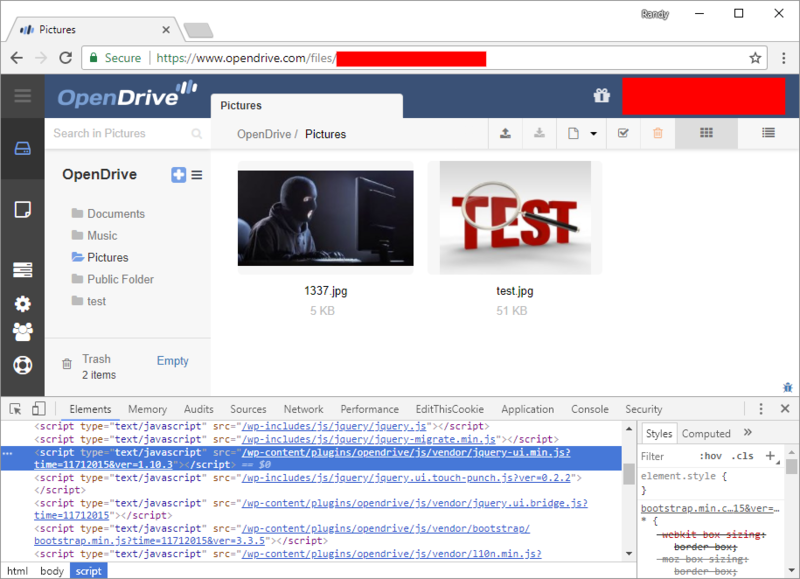 OpenDrive is one such company — not to be confused with the OpenDRIVE format specification — offering unlimited options for personal, business, and enterprise customers. In addition to traditional cloud storage, they also offer backup and content management solutions with software clients available for most desktop and mobile platforms. According to their website, they have some big name customers, including T-Mobile, Ancestry.com, and REMAX. Note the previously-valid session_id value included in the query string above. The value is suspiciously close to a Unix Timestamp, meaning it would have likely been derived from the exact time of the user’s initial login request — not good! In fact, the first ten digits of the value convert exactly to that: the date/time of my account first logged in. It seemed likely that the remaining nine digits from the above session_id were simply more precise values of the same login time, e.g. milliseconds from a server-side function like PHP’s microtime. I attempted to prove this by issuing numerous login requests in succession to compare the generated session_id values — as predicted, they were all sequential. I’ve come across some serious design flaws in the past, but this one seemed to be a top contender. Next, I decided to see where else this session generation pattern was used and how it might impact the security landscape of OpenDrive’s products as a whole. 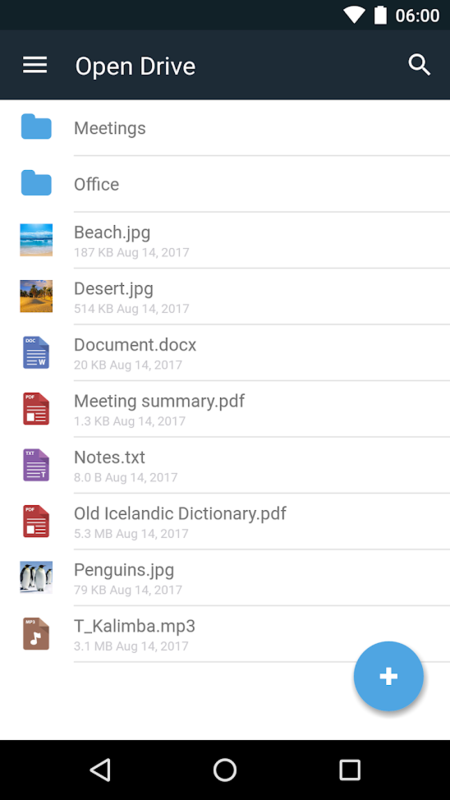 The usage of this particular API domain within the web client was limited, so I installed the OpenDrive Android app. The risks of this session issue were obvious, but two attack scenarios particularly concerned me: first, an attacker with even modest resources could have easily scanned for random valid user sessions in the system; second, targeted attacks of individual users would have only required knowledge of the user’s approximate login time — dramatically narrowing an attacker’s session search range. Vulnerable session generation was not limited to the Android app/client; sessions were generated for all clients (including web and desktop). This means virtually every OpenDrive user was affected. It’s unclear just how many sessions would have existed in the system prior to OpenDrive’s remediation, but it’s obvious the issue posed a serious threat. 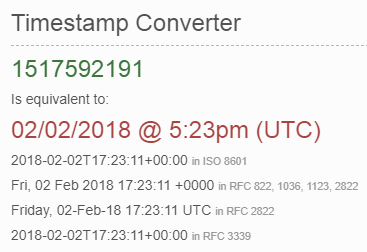 2017-02-22 I follow up – response received that OpenDrive will get back shortly. I never heard back. 2017-03-09 I follow up for clarification on previous response. Support “heard” it was fixed??? While OpenDrive did eventually release a patch after some prodding, communication was certainly lacking. They also seemed oddly unalarmed with the issue, ostensibly treating it as a low-priority bug rather than a critical vulnerability in their core product. With that said, their patch was effective and I confirmed previously affected sessions discussed above were invalidated. OpenDrive later sent me a $50 bounty in appreciation of the report.